Growing up the weeks ahead of Christmas were filled with a lot of baking and then giving yummy treats to friends and neighbors! I love carrying on that tradition with my own kids. 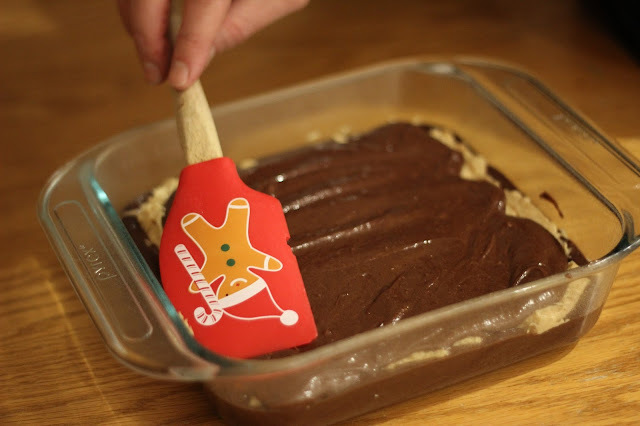 For Day 19 of our A Very Toddler Christmas series we are doing some holiday baking! Today I am excited to be partnering with Betty Crocker™, Hershey’s®, and Safeway stores to share two yummy ooey gooey holiday treats that we are making and giving away this holiday season in an effort to spread cheer! To kick off our baking extravaganza we headed to our local Safeway earlier this week to stock up on ingredients. I took along two of my three kiddos to be my helpers. They love going grocery shopping and helping me load and unload our cart. They also love driving around in the kid's car shopping carts. They are like a fun ride at an amusement park! We decided to try making Peanut Butter Cup Cheesecake Brownies (an exclusive Safeway recipe) along with our own Snowman Surprise Treats recipe. 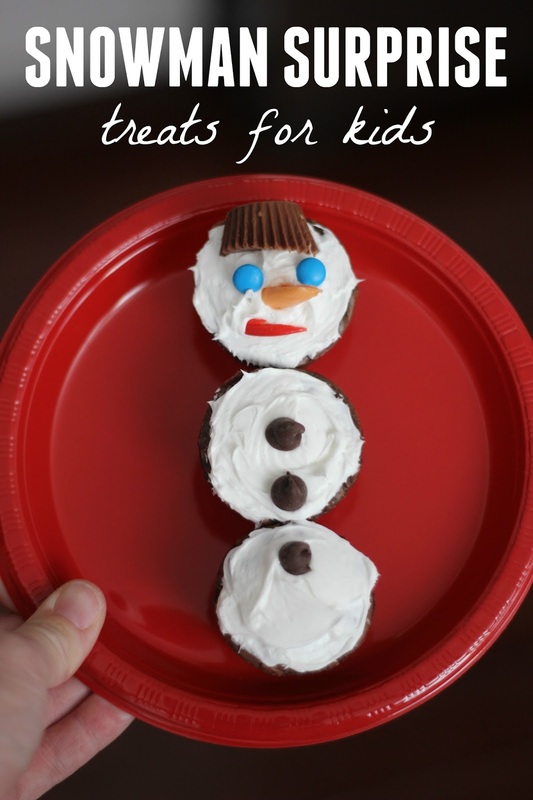 Our snowman surprise treats are pretty simple to put together and only require a few ingredients. 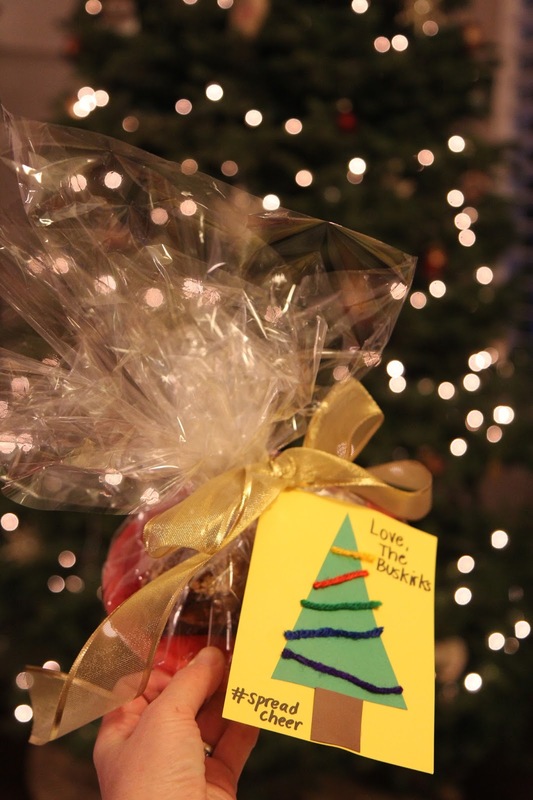 They are really fun to decorate with kids and the surprise inside is exciting too! To get started we stirred up the brownie mix, water, oil, and eggs until the batter was smooth and then we filled up each mini muffin halfway. Next we dropped a Hershey's kiss or peanut butter cup into each muffin tin and squished it down. Shh!! That's the surprise. Then we covered up each candy with a little bit more batter and then stuck the brownies in the oven at 325 degrees for about 20-25 minutes. All ovens are different so you'll want to watch these! Once the top starts looking hard, pull them out. Let them cool off for a few hours. Next we grabbed our Betty Crocker™white Whipped Cream frosting and three brownie bites and made a snowman! Then we used some of our favorite candies we had around the house to decorate the snowmen. The kids loved tasting their treats while they created. This was such a fun activity for the whole family!! Sometimes we just bake treats for ourselves and sometimes we like to give them to others. We also tried out a Peanut Butter Cup Cheesecake Brownie recipe this week that is exclusive to Safeway to bake and give away! Safeway.com has a total of four awesome new recipes from Safeway, Betty Crocker, and Hershey’s that you can try out too if you're looking for new ideas. 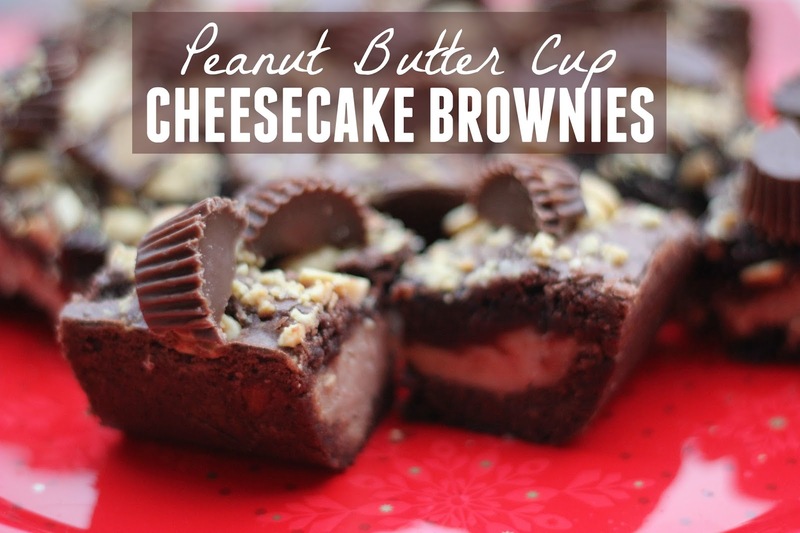 This peanut butter cup cheesecake brownie recipe was ooey gooey and so delicious! We found the recipe HERE on Safeway.com. 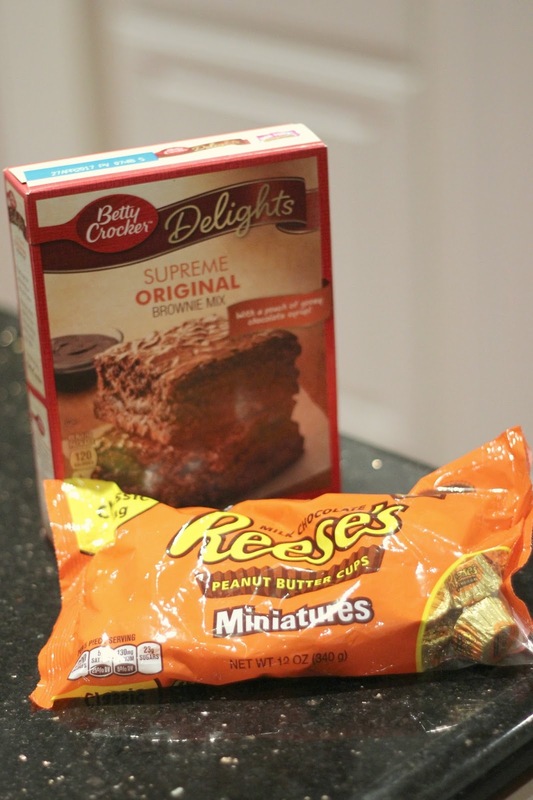 We used Betty Crocker™ Supreme Original brownie mix and Reese's™ peanut butter cups miniatures along with a few other yummy ingredients like cream cheese. 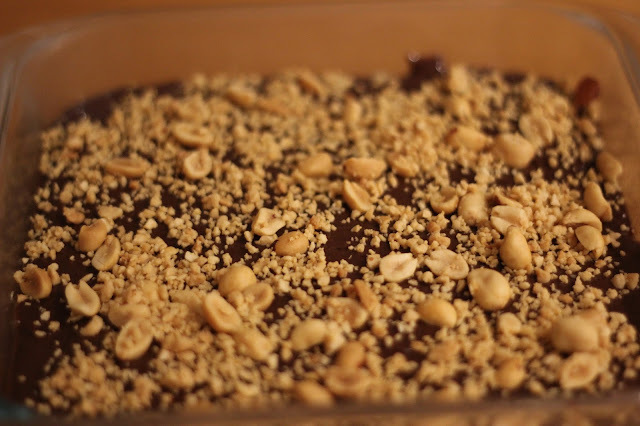 You can find the full directions and peanut butter cup cheesecake brownie recipe HERE! They were so delicious and looked good too! In an effort to spread cheer we packaged our brownies up and took them to a few friends! 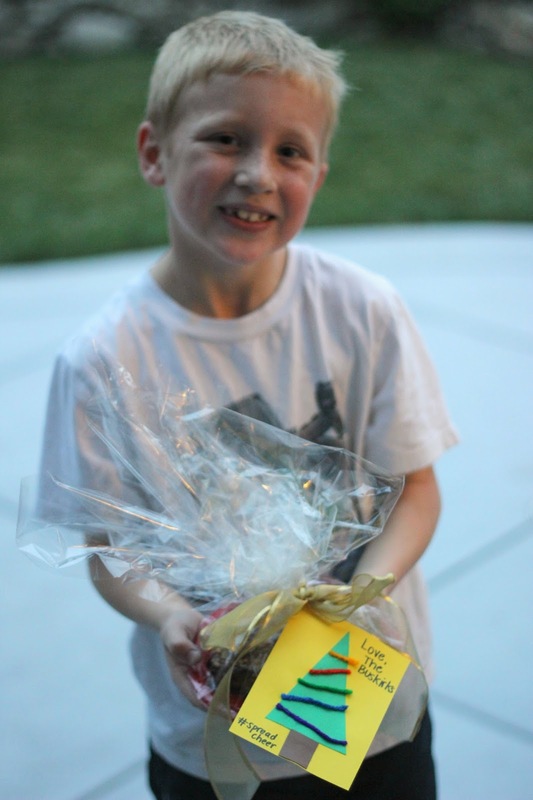 We made easy peasy gift tags using cardstock paper trees and some yarn and then we hand delivered the treats! You can find our tree craft tutorial HERE. When we dropped the treats off we challenged our friends to #spreadcheer this next week and take treats to another family. 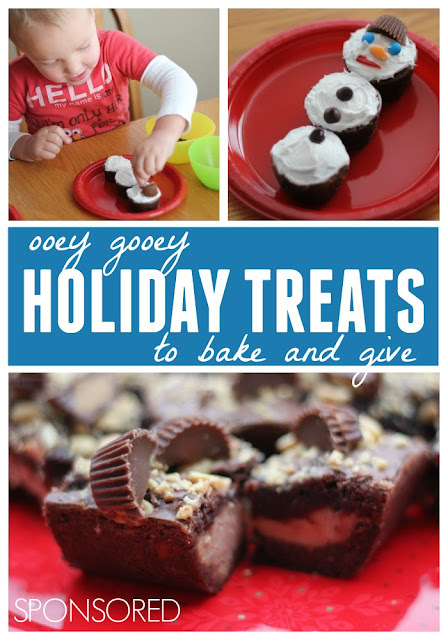 Do you have any favorite holiday treats that you like to make every year? Do you ever spread cheer and take them to other families? You can find all of the Betty Crocker and Hershey’s products you need for your holiday baking at your local Safeway store including this Holiday Peppermint Swirl Cake and these Turtle Sugar Cookie Cups. Yum! I'm challenging all of you to join in and spread cheer this next week and take a treat to a friend or neighbor! Do you think you can do it? Share a photo on social media if you do using the hashtag #spreadcheer and tagging me at @toddlerapproved so that I can check it out!